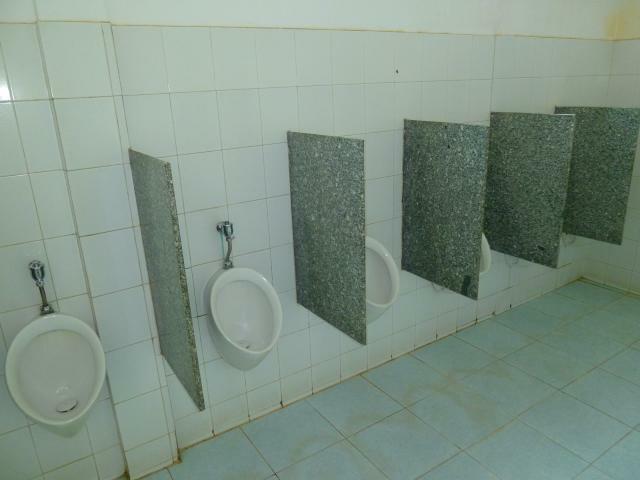 To access this row of tiny urinal's, visitors must enter the bathroom located on the ground level of this bi-level restaurant and swap their shoes for a pair of plastic flip-flops available at the door. The same procedure applies to both men and women. This bathroom facility also services an attached gas station and fruit stand.